If your looking for a rewarding van based franchise with high profit margins then we are the franchise for you. If your looking for a highly rewarding, profitable, recession resistant franchise then you need to read on and contact us for a no fuss, no obligation chat. Our aim is to creat a nationwide network of vehicle Locksmith franchises with the highest standards of training, technical backup and customer care that are able to supply a much needed service to all manner of motorists, from a single car family to nationwide companies with many thousands of vehicles in their fleet. If you think you have what it takes to become a part of our team, give us a call or use our contact form and we can discuss in more depth the opportunity to becoming a Lost Car Key Co, Vehicle Locksmith. 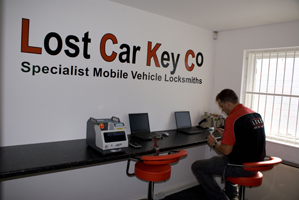 Lost Car Key Co are offering Franchise areas large enough to allow for expansion and the ability to run as a management franchise. introduction of this law, and you can take part in this success story with your own franchise business, helping motorists get through the car door and back behind the wheel. Since the introduction of the vehicle immobiliser, the vehicle locksmith is now a very specialised profession. The vehicle locksmith not only has to gain entry, as before, but now has to be able to gain access to the vehicle’s electronics (i.e. 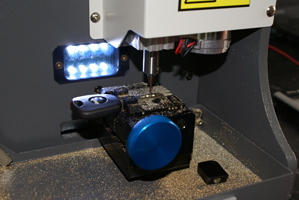 immobiliser system) and reprogram a new transponder into the vehicle using various equipment, tools and techniques. 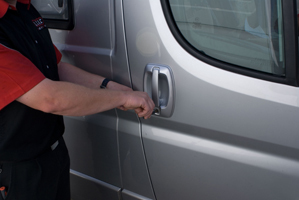 Providing a damage less entry to vehicles, reading locks to provide new keys, and reprogramming immobilisers is a specialist industry, but one which offers financial rewards for those prepared to accept the challenge. Lost Car Key Co provides services to private individuals, motor traders, franchise dealerships, fleet operators, the emergency services, insurance companies, etc. Due to the technical specialty, a Lost Car Key Co franchise is in heavy demand from customers, in a sector where there is little market competition. This industry is also recession resistant, with over 31million cars on the road in 2009 (according to the Society of Motor Manufacturers (SMMT). Why a vehicle Locksmith franchise? Proven success - As a vehicle locksmith franchise buyer, you become part of an operations system that works. Lost Car Key Co offers a concept with products and services that have sold successfully. You have history to learn from and to help you predict your own future. Faster Start Up - You have a short learning curve as a franchise owner, because you have assistance from Lost Car Key Co with lots of experience to draw upon in starting other new operations successfully. You and your personnel often get on-the-job instruction. Low Risk - Your chances of failure are lower with a franchise operation, because of the experience, expertise and proven resources that support you in your business. Franchises succeed at the rate of 90%. Low Investment - Most franchises keep their front-end investment demands low, which favours new entrepreneurs. Moreover, Lost Car Key Co will often help new franchisees borrow by facilitating arrangements with lending institutions, which look positively on lending to franchisees because of their high success rates. typically demand significantly lower prices on goods and services. 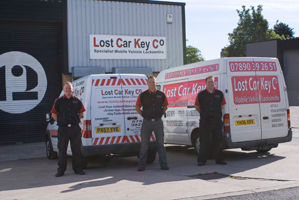 With Lost Car Key Co, franchisees are marketing an established brand of products or services. Hands on training from Lost Car Key Co, before allowing you complete control as you become more confident, professional and experienced. Ongoing business support, including site selection, training, marketing and new technology. Lost Car Key Co. will assist you in developing a business plan, in learning the best ways to hire and manage personnel, and in how to profitably manage your Business. Step-by-step operations manual containing all the information and know-how to run your own business successfully. To recieve one of our info packs and to find out more about our vehicle locksmith franchise opportunities then please call or use our contact form for a no obligation chat.